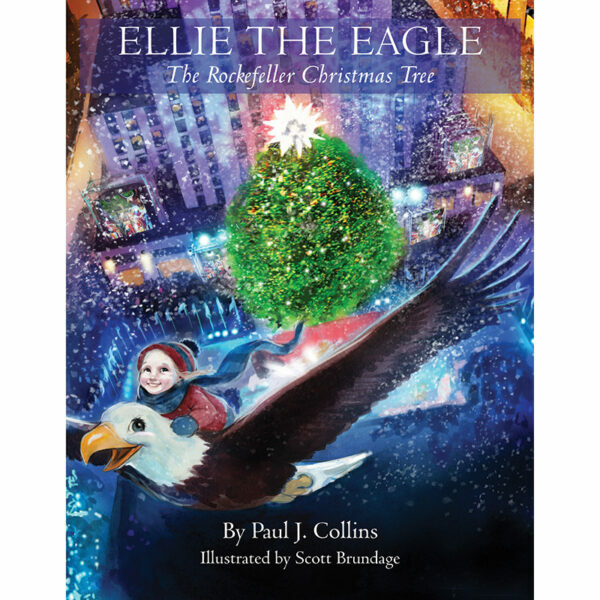 In this exciting and heartwarming New York City-based adventure story, a young country girl helps her best friend, Ellie the Eagle, rescue Ellie’s four eggs hidden in the Rockefeller Christmas Tree. Adeline Colby lives on a farm not far from New York City. 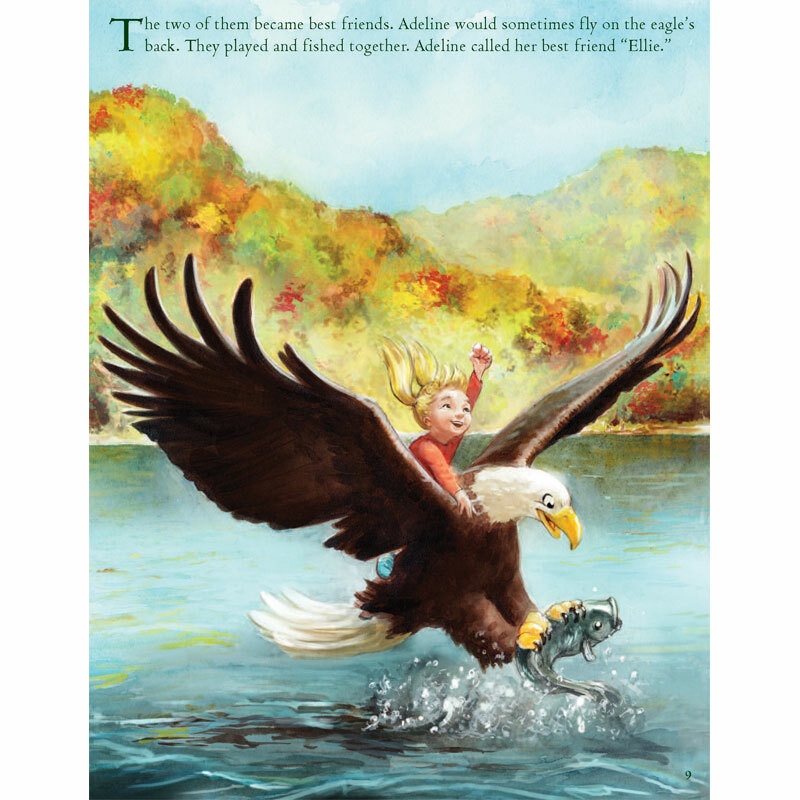 She saves an eagle from being shot by hunters, and they become best friends. Ellie the Eagle builds her nest in the tree outside Adeline’s bedroom window and soon there are four baby eaglet eggs in the nest. Nearing Christmas, Adeline’s dad cuts down the tree and sells it to New York City where it becomes the Rockefeller Christmas Tree. Adeline, flying on Ellie’s back, sets out on an exciting adventure to save the baby eaglet eggs. 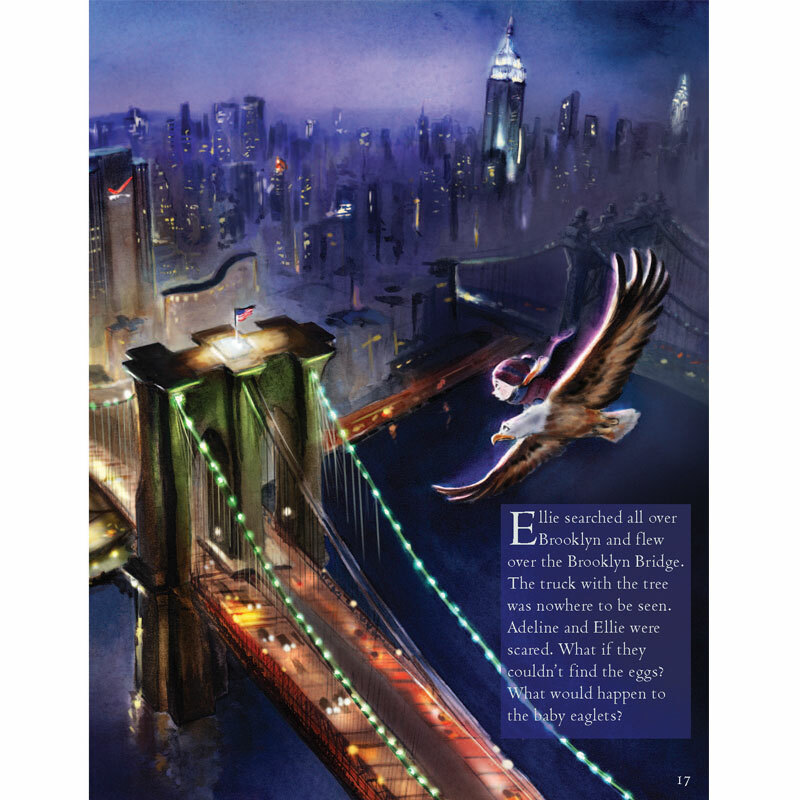 The story takes them all over New York City, where Adeline and Ellie search for the tree. 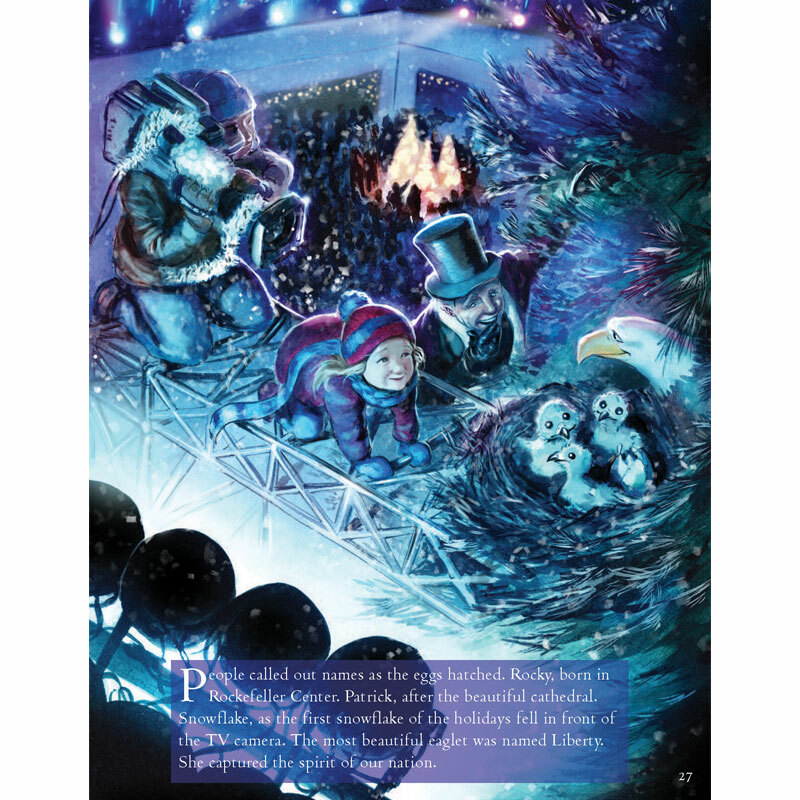 Finally, with the help of two famous New York hawks, they save the eggs and create a wonderful new holiday tradition. The holiday season is a time for giving, sharing and caring for others. Let’s all give a little more to help others. Together, with our children, we can reach out to those who are less fortunate than us. Let’s visit a children’s hospital ward, seniors in their homes, or serve food at a shelter. If we instill a sense of generosity and service in our children, we can make this world a better and happier place for all.